My 2013 Christmas card arrived from the printers a couple of days ago (well, 500 of them). Good service as usual from Think Ink. 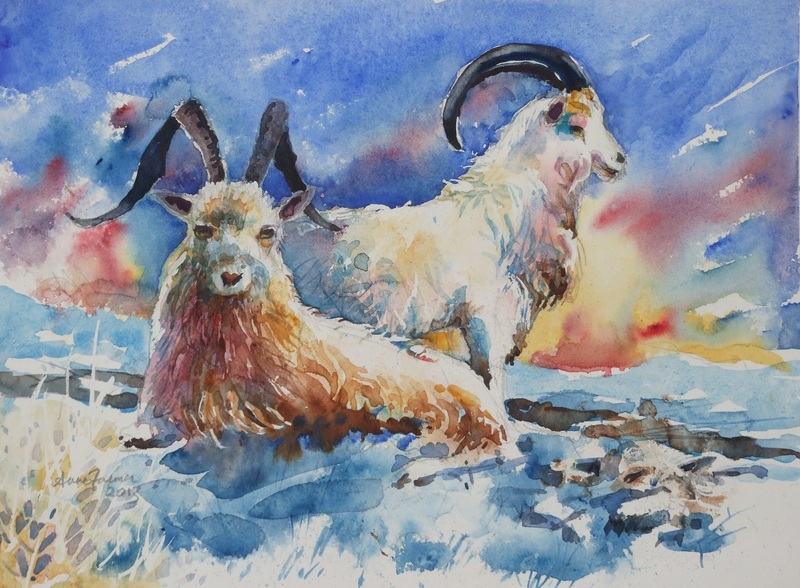 I continued my approach of taking animals and birds that you might think are white, putting them in snowy surroundings and going a bit mad with the colours. 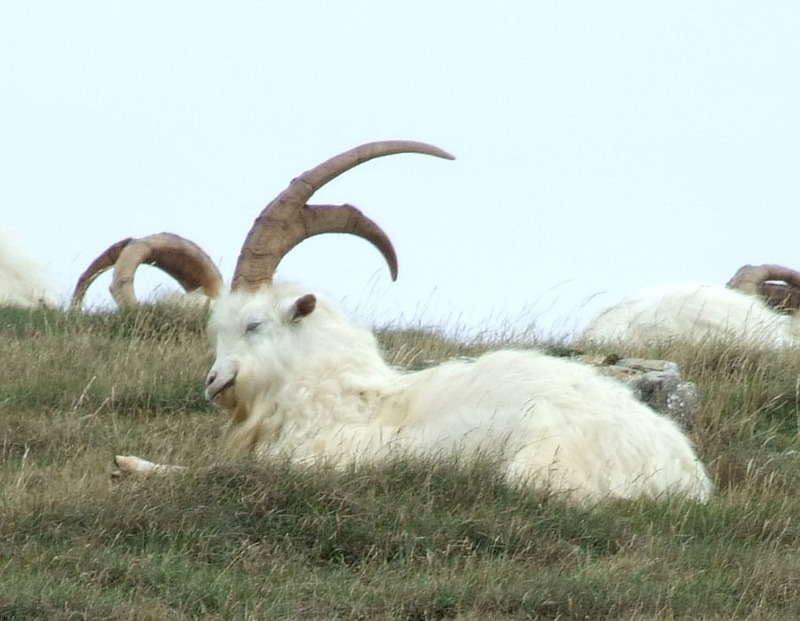 I discovered these Kashmir goats – quite a herd of them – on the hillside of the Great Orme, near Llandudno, in the summer. Apparently their forbears were a gift from some Indian potentate to Queen Victoria. Crazy horns -some of them cart two pairs around but they look too weird. You can compare mine with the original. Good old artistic licence again!